Ahhh, Spring is here and still plenty of snow on the mountain. Beautiful weekend in store and temperatures in the 50’s with plenty of sun. 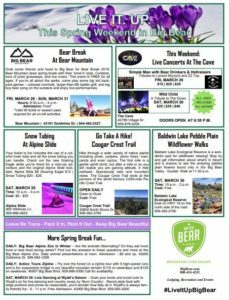 It will be a bluebird weekend in Big Bear. 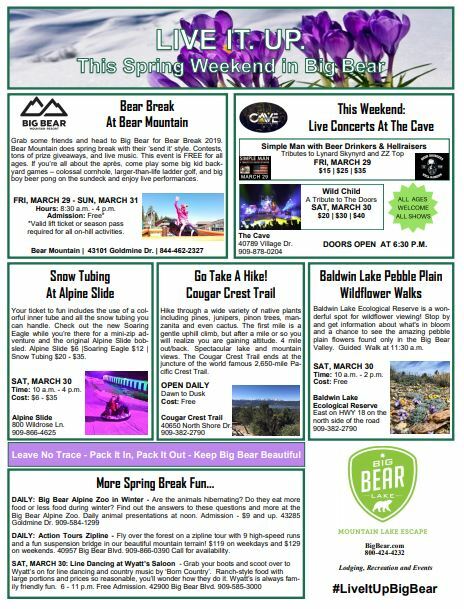 Have you checked out the things to do in Big Bear page?